On the 15th of February, 2018, Olamide signed two new artists into his record label, YBNL. The Yahoo Boy No Laptop, better known as YBNL has been known by everyone far and near to be very helpful in the uplisfting of people, especially in the music industry. Thanks to the magnamity of the YBNL boss, Olamide who lives true to his words, "We Rise By Rising Others...!" The two latest artists, or rather latest as at the time of publishing this article,to benefit from the YBNL record label deals are singers Limerick and Lyta. Today, we will be discussing Lyta, the younger of the duo. Lyta YBNL, as he is popularly known as is a young star. How old is Lyta? 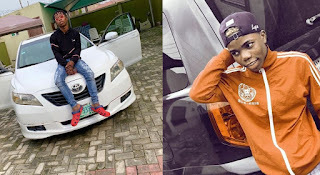 What is Lyta's net worth? Where was Lyta born? We will see all these below. Born as Lawal Raheem, YBNL Lyta was born in Kwara State, the Northern part of Nigeria on the 4th of July, 1998. He is a Nigerian singer and song writer, and goes with the stage name, LYTA (pronounces L-Y-T-A). He was born and brought up in the Ajegunle part of Lagos State, Nigeria and has been doing music even right from the age thirteen. Not much has been known about Lyta's early life and education, as he is still new to the fame box. With time, we will update this article to include other aspects of his life. He must have had his early education in the Lagos State, since that was where he grew up. Lyta's parents are Northerners. Lyta's dad and mom also reside in Ajegunle, Lagos with his siblings. 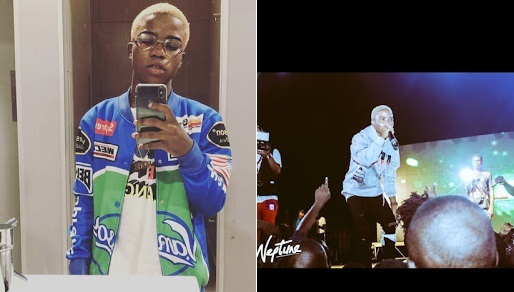 A genius singer and song writer, Lyta was first discovered by Olamide, the YBNL boss in a public event where he got thrilled by his rapping skills. He had called him up on stage that day for some freestyles and he was even thrilled the more. Badoo, who is bent on rising by rising others got him signed into his record label on the 15th of February, 2018. He came to the entertainment limelight after featuring Olamide in a song, 'Time' which was was another awesome piece of work. He is still new in the industry, so it is a worky to calculate his net worth. Nevertheless, we will update it here soon. Thanks for reading along, I'm sure you know your favorite Lyta better now. Don't forget to share and email any corrections to contact@infoguideafrica.com. See Next: Dice Ailes biography, networth and all you need to know about him.